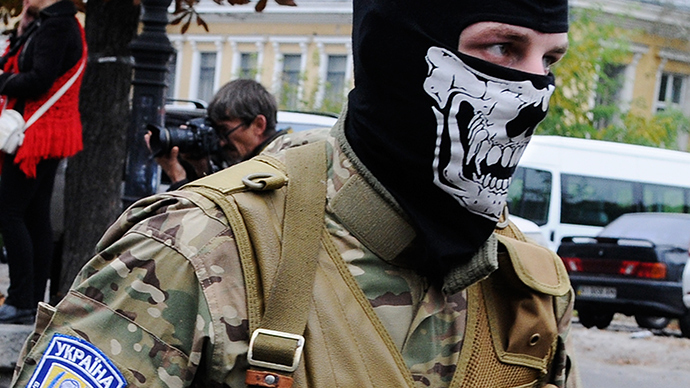 Four-way talks to restore peace in eastern Ukraine have kicked off in the Belarusian capital. The sides are negotiating a prisoner exchange, the withdrawal of heavy weapons from conflict areas, and the humanitarian crisis in the Donbass region. A preliminary round of negotiations between Moscow, Kiev, eastern Ukrainian rebels, and international observers from the Organization for Security and Co-operation in Europe (OSCE) began after a logistical delay on Wednesday, and lasted well into the late evening. "These were difficult negotiations, and I think it would be unfair to all sides to divulge the content while they are still in progress," Donetsk People’s Republic representative Denis Pushilin told Donetsk News Agency. "The date of the next round of talks remains uncertain." Russian Foreign Minister Sergey Lavrov commented on the Ukraine peace talks in Minsk in an interview with Kommersant published late on Wednesday. Lavrov stressed that “it is not about who wins the war, it is about Ukrainian people having an open dialogue, which would include all regions, ethnicities and political players.” They need to agree on one constitution that would allow all to “live under one government, with respect to all languages, traditions and cultures, so each region could elect its own representatives,” he said. Another thing that needs to be considered and agreed upon is how to distribute tax revenue among the regions, Lavrov added. “Right now in Ukraine everything is going to Kiev...and after that, they [the regions] are receiving what has been decided for them,” he added. Lavrov also said that sanctions against Russia came as a reaction to Moscow’s efforts in securing the Minsk peace agreements. He stressed that the sanctions were pushed by Washington for political reasons. “The September wave of sanctions was introduced as a ‘reward’ for Russia’s role in the Minsk agreements and more generally for its part around organizing the meeting [in Minsk], which in large part happened because of the role played by [Russian President] Vladimir Putin and the Russian Federation,” Lavrov said. Lavrov recalled that many European countries have been very reluctant to pass the first wave of sanctions. “But no one makes it a secret anymore that Americans have forced the entire EU to bend to their will,” the minister said, reminding of Vice President Joe Biden’s public comments on Washington “embarrassing” Europe into sanctioning Russia. Lavrov highlighted that there has been progress in implementing some of the points from the Minsk agreements, and added that some of them can be seen on the ground already. “There has been a sharp drop in incidents, people stopped dying. There are isolated cases, but it's heaven and earth in comparison to what was happening before.” He also noted progress on withdrawing heavy artillery. He expressed hope that the new Ukraine peace talks in Minsk could resolve problems surrounding the delivery of humanitarian aid to the southeastern regions. Lavrov said that Russia has secured an unhindered flow of humanitarian aid to eastern Ukraine, closely cooperating with Ukrainian border guards and OSCE monitors. However, there are obstacles to other aid, sent by Kiev and charity organizations, which is being blocked by ‘private armies’ of Ukrainian oligarchs and cannot reach the regions in need. This has revealed another major concern – the number of privately owned battalions which are “organized and financed by [Ukrainian] oligarchs, such as Igor Kolomoyskiy” in the areas adjacent to territories controlled by the self-defense forces. In the run-up to the negotiations, the sides contemplated a sizable prisoner exchange, after the success of several exchanges involving dozens of captives. Ukrainian authorities say that militants are currently holding 600 regular army troops under lock and key, while Kiev has captured more than 400 rebels. The government has said that it is ready to release more than 230 prisoners of war. The rebel-held area of Donbass, which has an estimated remaining population of over three million, continues to suffer from shortages of food, medication, and other necessities. Last month, the government cut off services and salaries for people living in the region – whose legitimacy it does not recognize – saying that such payments and services were simply helping to sustain militants. This has forced the already struggling region to depend on aid convoys and supplies from Russia. There is little hope of the sides agreeing on the status of eastern Ukraine during the talks, meaning that they are unlikely to halt the build-up of military capacity in eastern Ukraine. Aleksandr Zakharchenko, leader of the self-proclaimed Donetsk People’s Republic, earlier stated that he expects little to come of the talks, apart from a prisoner exchange. 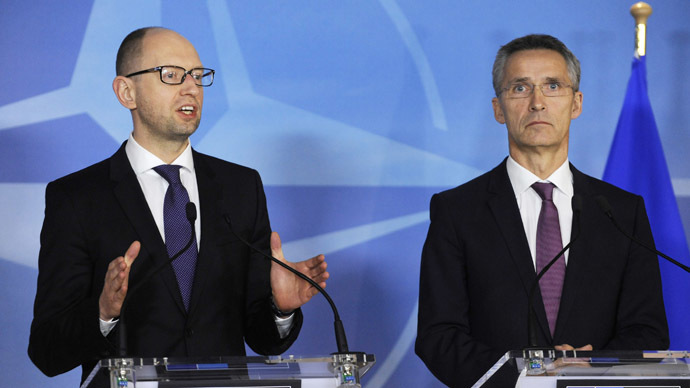 “Ukraine has still not moved its forces from near our positions, despite earlier agreements. This means the country is still weak,” he said in an interview with Russia’s Argumenty i Fakty newspaper. 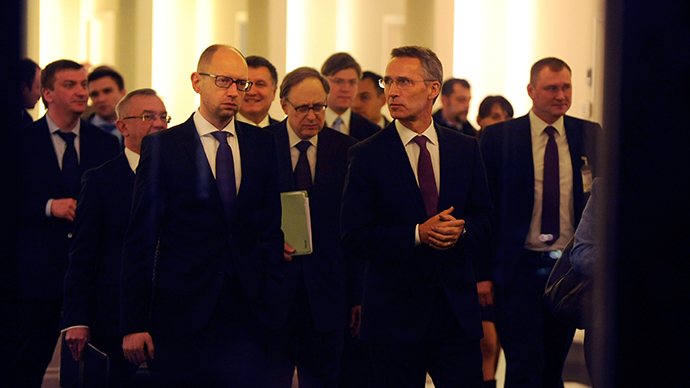 The likelihood of such a compromise has also been scuppered by the Ukrainian parliament. After the meeting Zakharchenko said the negotiations had been hard but there was next round of talks to follow, Donetsk news agency reports. On the eve of the talks, the Rada overwhelmingly voted to revoke its “nonaligned” status that allowed it to maintain military cooperation with both Russia and the West, paving its way for even closer ties with NATO, and its eventual full membership. 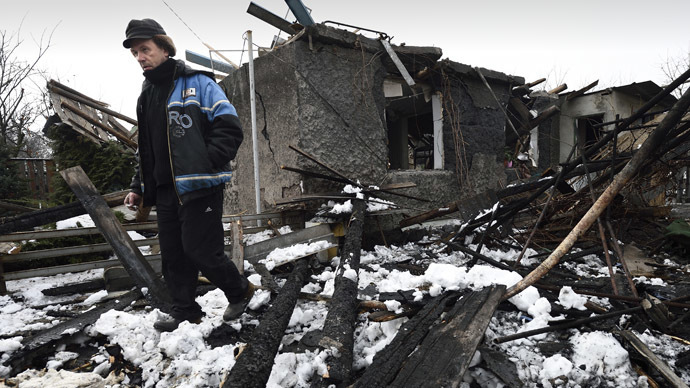 More than 4,700 people have died in the Ukrainian conflict since secessionists seized key government buildings in the east of the country, according to last week’s UN report. The UN says that more than one million have fled the region; about half have claimed refugee status in Russia, while the rest have moved to parts of Ukraine untouched by war.